Cool-Space Evaporative Coolers are highly efficient portable evaporative coolers able to deliver great temperature drops in highly humid climates with very little electricity. The fan draws hot, drier air through the thick wet cooling media. As water evaporates into the passing air, it displaces the heat in the air. 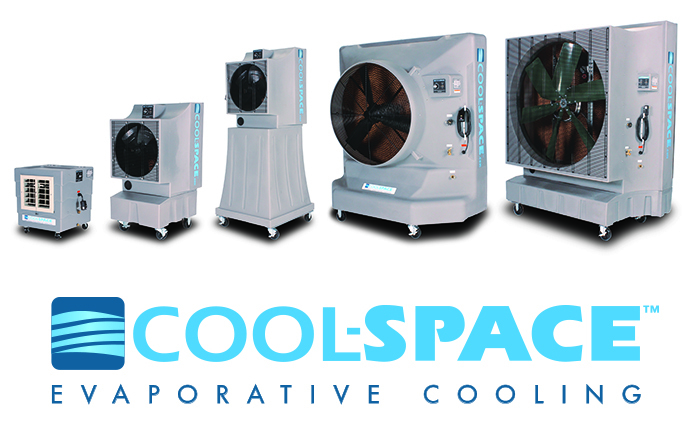 For more information visit Cool-Space Evaporative Cooling.